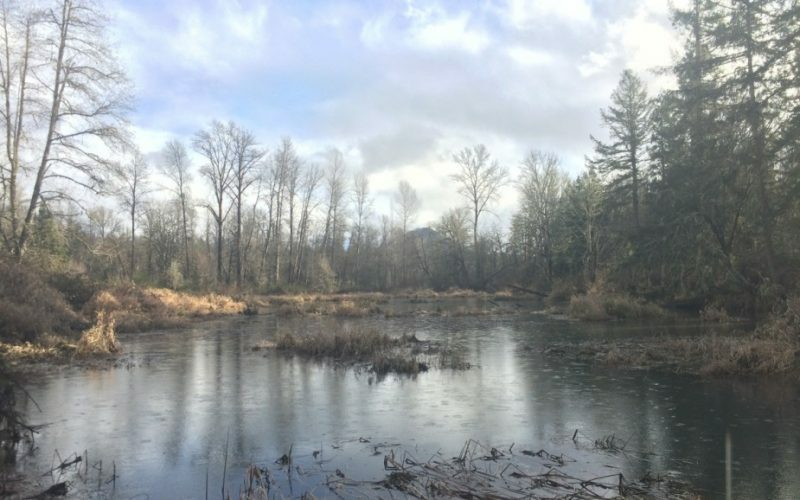 Wetlands make up a small portion of the Middle Fork Willamette but provide key habitat for species of concern like western pond turtle and rare wildflowers. Wetlands can be broken down into several sub-categories; wet prairies are one of the rarest and many species rely on them. Wet prairies typically occur in low-lying, flat areas that stay wet throughout most of the year but dry out in the summer. Wet prairies are also present in some of our oak savanna restoration projects like at Madrone Meadow and Thurston Hills.